More than 300 residents of the village of Samur in Daghestan’s southern Mag­a­ramkent District gathered on 7 September and demanded an end to drilling for water in the Samur Forest. Military hardware from the National Guard was brought into Samur the same day to protect the con­struc­tion site of the Samur water pipeline. 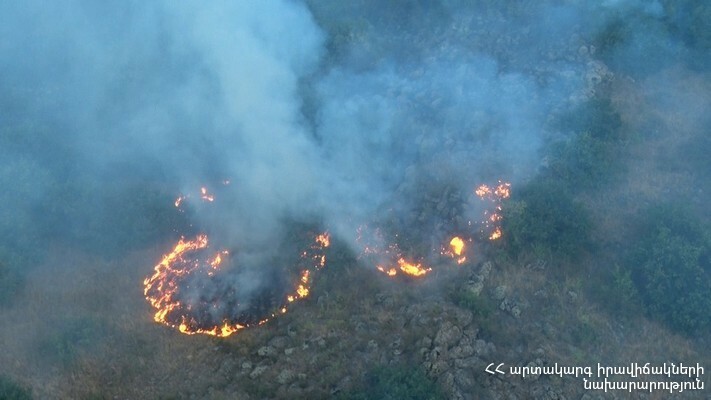 A forest fire has dev­as­tat­ed large parts of Armenia’s Ara­gat­sotn Province, affecting up to 100 hectares of land. The fire started on 3 September near the village of Byurakan, 35 kilo­me­tres from the capital Yerevan. It was contained the following day, but new outbreaks have emerged, Caucasian Knot reports. Three hectares of forest in the Tlyarata District of Daghestan are ablaze, and the Ministry of Emer­gen­cies has warned that there is a danger of new fires breaking out.